Cinnamon Hotels and Resorts partnered with the Sri Lankan Consulate over the past month to promote Sri Lankan food in Mumbai in commemoration of the 70th anniversary of the diplomatic relations between India and Sri Lanka. As a part of this collaboration, Chef Sunanda Kumar of the Cinnamon Lodge Habarana made a visit to Mumbai for an exclusive showcase of his culinary expertise at the Sri Lankan Food Festival from 4 to 8 September. The Sri Lankan Consul General (CG) in Mumbai Chamari Rodrigo has taken keen initiative and has invited two leading chefs from Sri Lanka, one being Chef Sunanda from Cinnamon Hotels and Resorts, Sri Lanka. He is an award-winning chef who had garnered recognition, not only in Sri Lanka but significantly in the whole of South Asia. As a chef who represents Sri Lankan cuisine, he has held similar festivals previously in Chennai and South Korea. Internationally, his abilities were lauded at the East Coast Salon International Culinary Arts Awards 2015 in Dubai and locally, his team of chefs at the Cinnamon Lodge Habarana also had won national level awards the field of culinary in Sri Lanka under his direction and supervision. Recently he was asked by the Rajarata University, Sri Lanka to design the hotel management syllabus as a recognition of this abilities. The 10-day Sri Lankan Food Festival was organised at The Leela Hotel Mumbai from 30 August to 8 September. The festival offers authentic Sri Lankan culinary featuring the choicest of delicacies from Sri Lanka as an opportunity for all to relish rare delicacies. The food festival celebrated the cuisine by offering an exclusive spread of Sri Lankan dishes for the lunch and dinner buffets, including four vegetable dishes, two fish and seafood options followed by unique Sri Lankan sweets such as Pani Walalu, Asmi, Kavum, etc. The action stations will show case and offer Hoppers, Rotti and Kottu, all which is unique to the country. Chef Sunanda will play an integral role of narrating the origin and history of the signature dishes, to all the guests attending the festival. Sri Lanka being committed to enhancing the seventy years long association with India considered a food festival the best way to develop better relations with the neighbouring country, hence Cinnamon Hotels and Resorts together with Chef Sunanda was a part of this initiative in India in the hopes of further strengthening the relationship between the countries, in many ways that one. Cinnamon Hotels and Resorts is proud to be associated with the festivals of this calibre where, renowned chefs have platform to take local cuisine to the international masses. 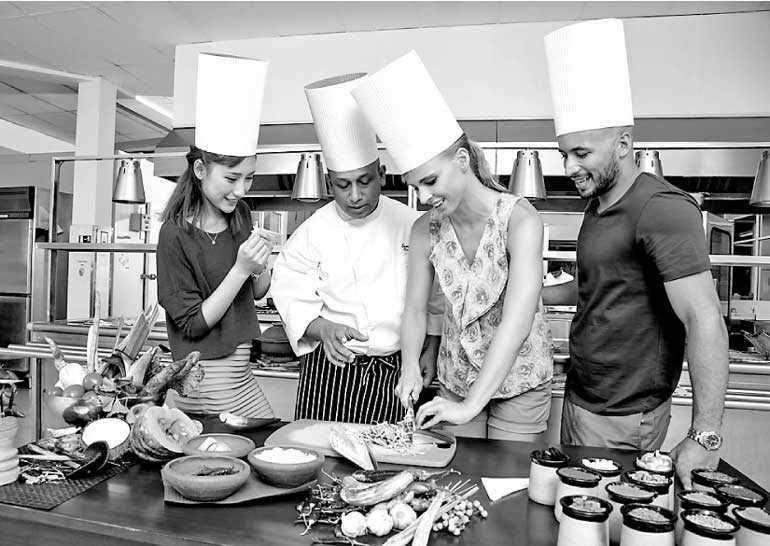 Sri Lankan food festival is organised in association with Mount Lavinia Hotel, The Cinnamon Lodge Habarana, SriLankan Airlines and The Leela Mumbai Hotel.